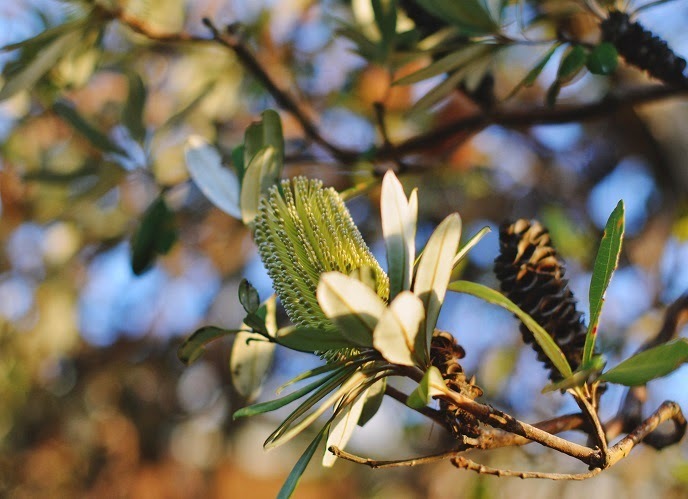 Vintage at Heart: Bush Road Trip! Dress - courtesy of Bernie Dexter, get it here! Yesterday we got in the car and drove to New South Wales where we are staying in a lovely little beach house over looking the ocean. And I wore my hair in a pony tale - the horror, I know! But we were on a road trip and with all of the packing the night before I couldn't be fussed to set my hair; very slack of me. I absolutely love road trips, watching the beautiful Australian countryside go by, and looking at all of the animals of course. 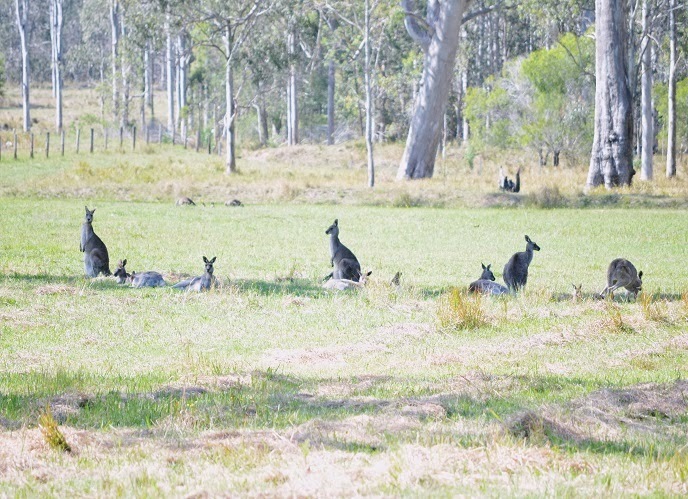 I got a bit excited when I saw this mob of kangaroos so we got out of the car and took some photos! 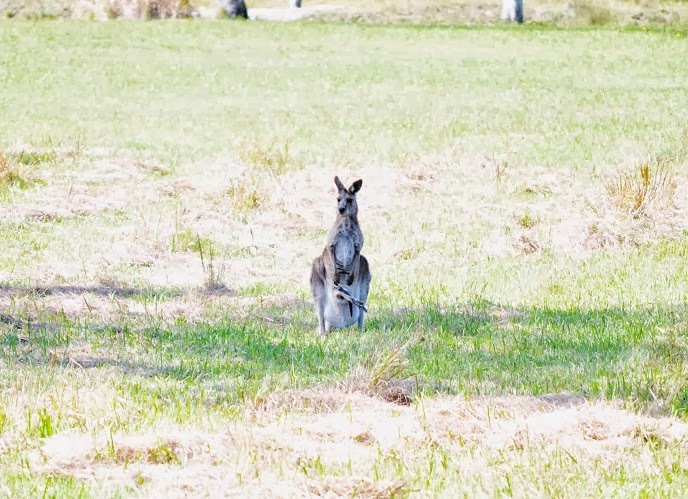 If you look closely, the kangaroo in the second last photo has a joey in its pouch. It's sublime there. Your dress is so cute. Wow, the countryside where you live is just gorgeous! 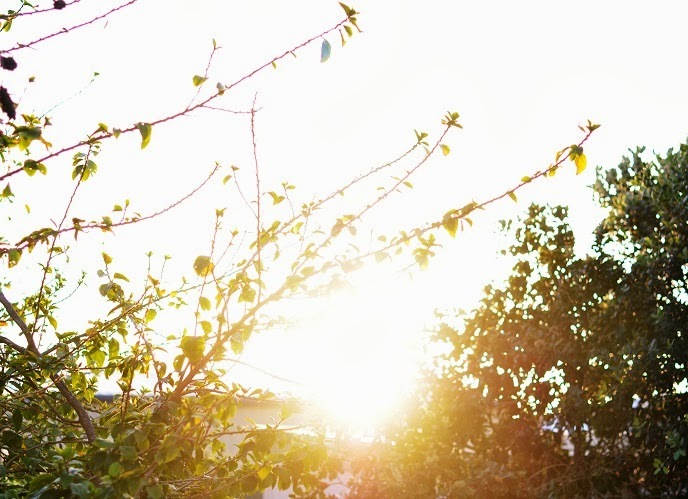 I love the first picture and the last one with the light coming through the trees. It's the perfect setting for the dress as well. So pretty Harlow! I love Australian roadtrips, so much fun and such beautiful scenery! 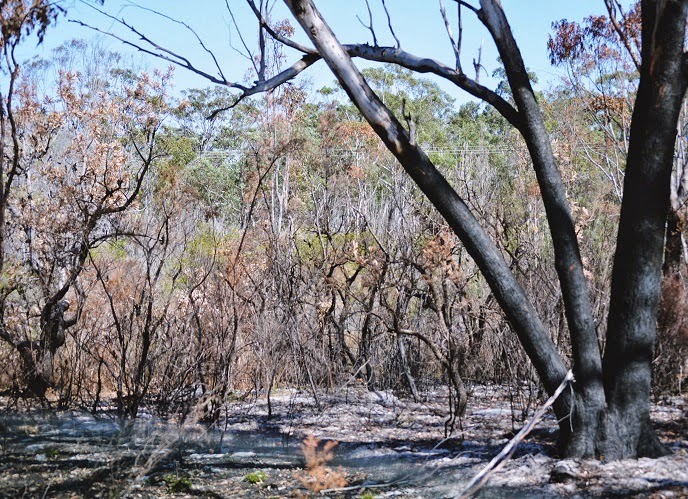 Beautiful pictures Harlow, they are making me want to get on a plane and go explore the Australian Countryside! There is an almost magical warmth to these strikingly beautiful road trip photos. 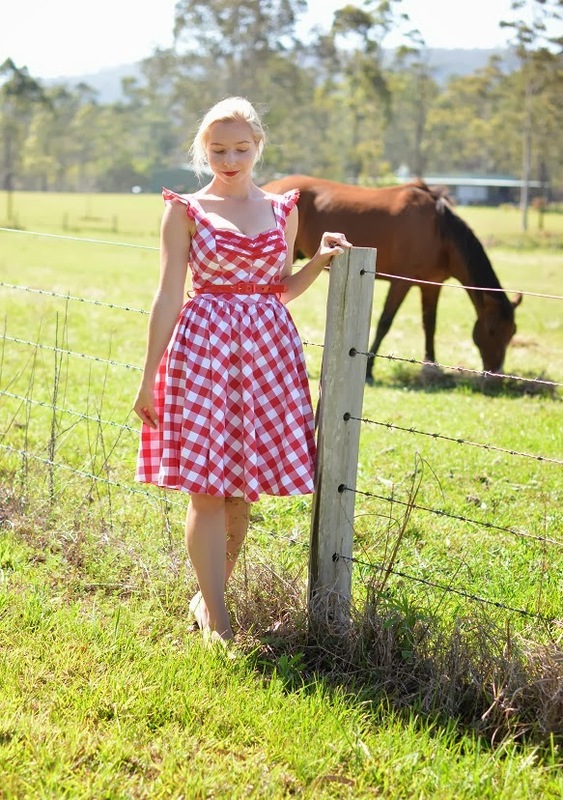 That gingham dress is equal parts sweet and alluring, and seems tailor made for a countryside setting like this. Simply gorgeous, dear gal! I doesn't look bad, your face is lovely, maybe with a Belle bow?? A la Lemon Breeland??? That's amazing! How beautiful to see! I don't see kangaroos on any one else's fashion posts today! :D It's sounds like a wonderful road trip. Also, your dress is so beautifully flattering on you. What a perfect fit. Magical. Oh kangaroos <3. Really nice nature. I like your dress, and must say you look stunning with hair up, really stunning. Oh, how beautiful! 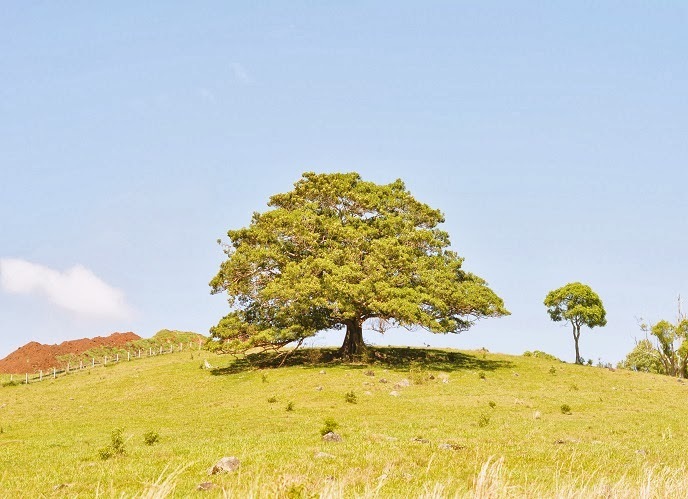 The Australian countryside truly is a gem to behold and your dress is gorgeous. Wow! My son was so excited, as was I, by these amazing photos! This gingham suits you perfectly! You're gorgeous! Very beautiful landscapes, I would love to come there! 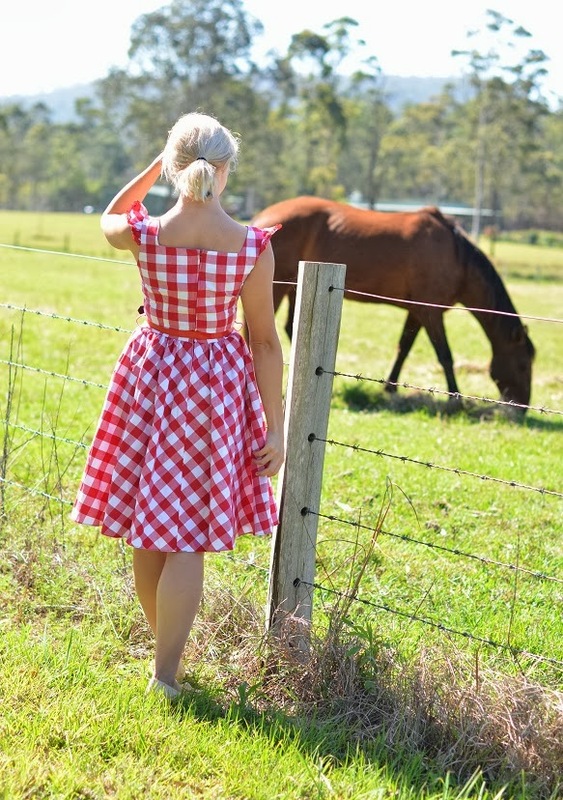 Your gingham dress is beauuuuutiful and I love the photos of you by the horses! Ooh that dress is just perfect, and I'll forgive your ponytail, because I do it all the time! I just love driving through the countryside too, this really is a beautiful country. Oh and yes, isn't Caitlin Shearer's work just lovely? I'm lucky enough to have two of her originals... they're amazing. She's just too talented - and such a lovely girl too. Awww...the kangaroos are adorable! And you look so very pretty in that red gingham dress! Gorgeous photos and a brilliant little adventure....hope the coming weekend will be fabulous! That dress suits you perfectly!